Both our Beach Houses capture fantastic views of the ocean and Nobbys headland and provide sublime self catering accommodation for guests who are looking for the ultimate beachside holiday in Port Macquarie. 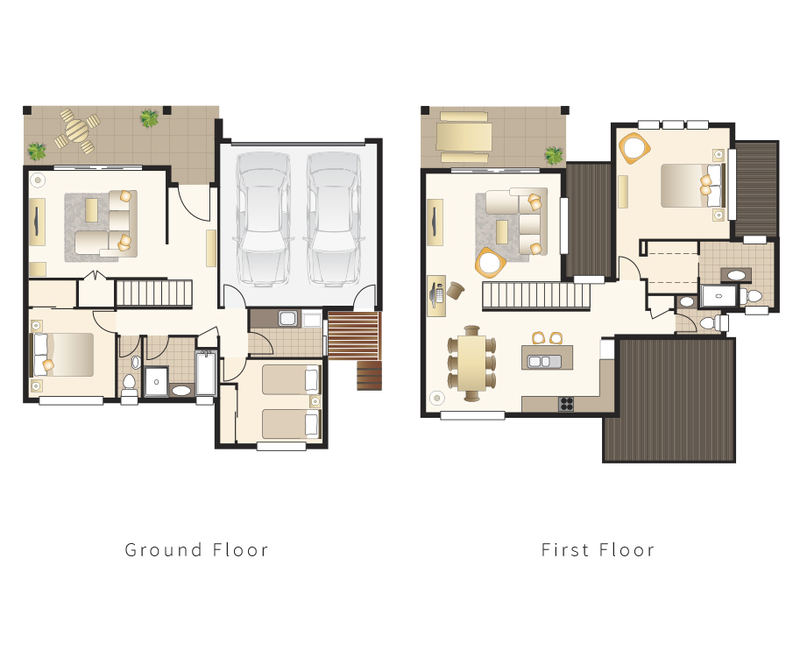 With private master bedroom, WIR and ensuite upstairs, 2 bedrooms and full size bathroom downstairs, rumpus room, 3 toilets and a spacious upstairs living/dining area there is plenty of room to relax. These two houses are located as close as you can get to Nobbys Beach. We provide an “initial” supply of tea, coffee, sugar and long life milk as well as a small supply of dishwashing liquid, dishwashing tablets, hand soap, toilet paper and washing powder. Escape at Nobbys is fully self catering and these supplies are portion controlled and meant to cover guests for the first day or so of your stay. Short and long stay welcome. Not sure which property to book Executive Townhouse, Ocean Townhouse or Beach House? We are more than happy to answer any questions and help you choose the best property depending on your requirements and budget. Why not take a look inside for yourself. 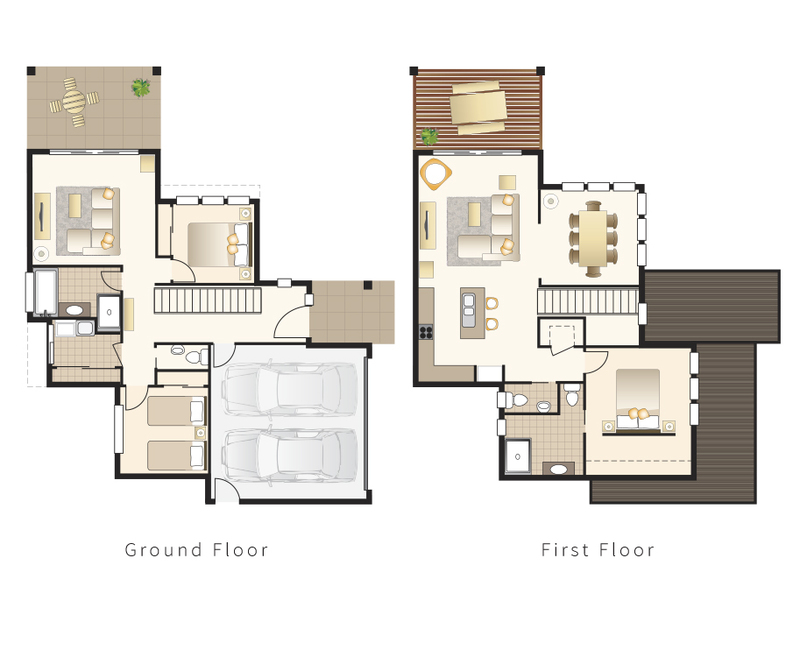 Our 3D Virtual Tours let you walk through and explore from the comfort of your sofa. 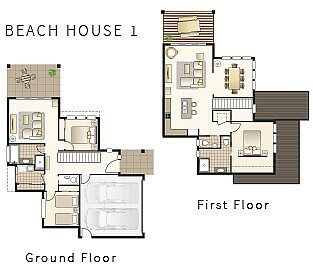 For a 3D walk through of Beach House 1 click here then hit the play button. 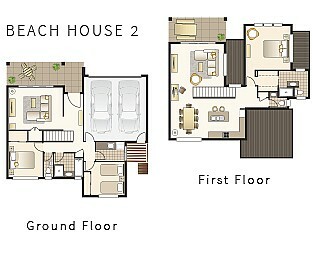 For a 3D walk through of Beach House 2 click here then hit the play button.